Home / Guard board Beware! Rabbit! Original guard board with a watchful Rabbit on it. The board is made of polypropylene. The board has a handy hole so that it can easily be attached to the wall or door. 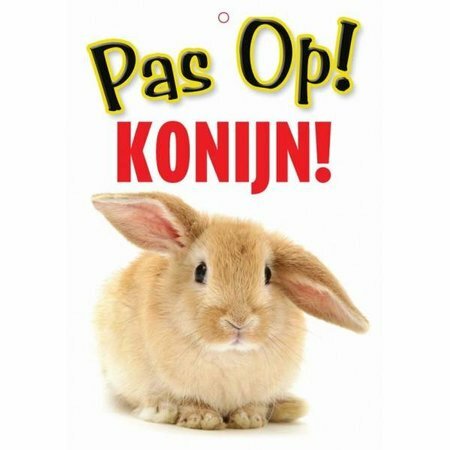 Leuk bordje voor de deur van dierenkamer!